James Doty, MD, is a Clinical Professor in the Department of Neurosurgery at Stanford University and the Director of the Center for Compassion and Altruism Research and Education as Stanford University School of Medicine. He completed his undergraduate education at the University of CA, Irvine and medical school at Tulane University. He trained in neurosurgery at Walter Reed Army Medical Center and completed fellowships in pediatric neurosurgery at Children’s Hospital in Philadelphia (CHOP) and in neuroelectrophysiology focused on the use of evoked potentials to assess the integrity of neurological function. 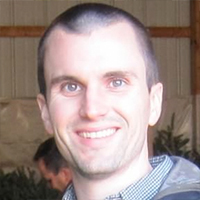 His more recent research interests have focused on the development of technologies using focused beams of radiation in conjunction with robotics and image-guidance techniques to treat solid tumors and other pathologies in the brain and spinal cord. He spent 9 years on active duty service in the U.S. Army Medical Corp. Marriage and Family Therapist, is the author of The Way of Mindful Education: Cultivating Well – Being in Teachers and Students. 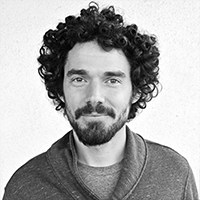 He founded the Mindful Education Institute and the Omega Mindfulness in Education conference. 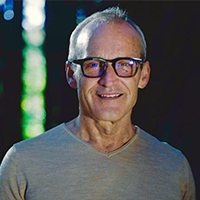 He leads mindfulness in education trainings and conferences at institutions such as the Omega Institute, Esalen, and California Institute of Integral Studies. He has helped create curriculum for organizations such as Mindfulness Without Borders, Mindful Schools, and The Mindful Mothering Project. 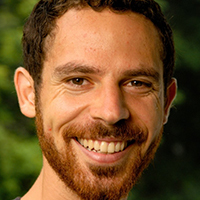 Daniel leads mindfulness trainings for schools and communities around the world, such as the South Burlington School District, The Paideia School in Atlanta, and Phucket International Academy in Thailand. He has had amazing results teaching mindfulness to high-school basketball and baseball teams. 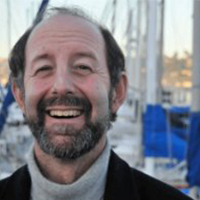 Daniel also has a private psychotherapy practice in the San Francisco Bay Area. Has a diverse background in the healing arts, with decades of experience as a Social Worker, Coach, Counselor and Teacher. 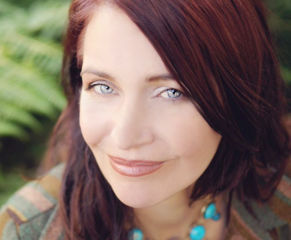 Desiree specializes in Yoga, Wellness Coaching, Mind-Body Fitness, Spiritual Counseling, Akashic Records Readings, Quantum Healing, Reiki, Vibrational Medicine and Energy Kinesiology.Desiree’s yoga training includes thousands of hours of formal training in Yoga with a formal education in the Anusra Yoga system. Desiree also has over 20 other certifications in various styles of yoga, meditation & wellness. Is the director of the Stanford University Forgiveness Projects, an ongoing series of workshops and research projects that investigate the effectiveness of his forgiveness methods on a variety of populations. The forgiveness project has successfully explored forgiveness therapy with people who suffered from the violence in Northern Ireland, Sierra Leone as well as the attacks on the World Trade Center on 9/11. In addition his work has been successfully applied and researched in corporate, medical, legal and religious settings. 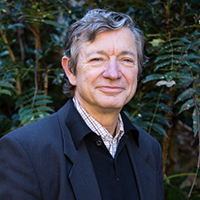 He currently also serves as a Senior Consultant in Health Promotion at Stanford University and is a Professor at the Institute of Transpersonal Psychology. He presents lectures, workshops, seminars and trainings on the importance, health benefits and training of forgiveness, stress management and emotional competence throughout the United States. He offers presentations and classes that range from one hour to ongoing weekly trainings. He is the author of Forgive for Good: A Proven Prescription for Health and Happiness (HarperSanFrancisco, 2001) and Stress Free for Good: Ten Proven Life Skills for Health and Happiness(HarperSanFrancisco, 2005), with Kenneth Pelletier, Ph.D. Dr. Luskin holds a Ph.D. in Counseling and Health Psychology from Stanford University. Juanita Galvis is the Head of Social Impact Advocacy and Impact Travel for The Assemblage, a community providing co-working, co-living and social spaces for individuals seeking development, transformation and interconnection. She has 5 years of experience in the stock market, 4 in real-estate development and 6 years, as an entrepreneur, in the fashion industry. After working as a volunteer in a refugee camp in Greece, she was empowered to dedicate her life to raising awareness of our individual and collective potential to be of service to others. Her vision is to create meaningful opportunities for people to connect through compassion. for more than 20 years, has used the power and appeal of sport to address complex social issues. McPherson has paralleled a highly decorated football career with cutting-edge work on vital and contemporary issues that impact the lives of every American. With testimony before the US Congress, appearances on national news, the Oprah Winfrey show and lectures across North America, McPherson has reached more than 1 million people. 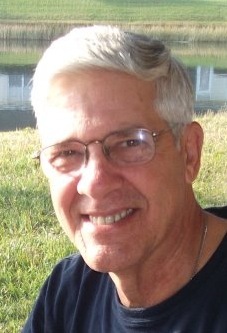 Don was a two sport high school All-American athlete (football, track). He attended Syracuse University and was a unanimous All-America quarterback and captain. He is also a veteran of the NFL and Canadian Football League. At Syracuse, Don McPherson, led the NCAA and won more than 18 national “player of the year” awards. He was runner up f for the Heisman Trophy and was enshrined into the College Football Hall of Fame. 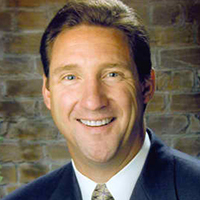 Don’s played for the NFL’s Philadelphia Eagles and Houston Oilers, as well as, the Canadian Football League’s. He remained active in the off-season in his service to the community which now spans three decades. Don has delivered school and community based program s addressing issues such as drunk driving, alcohol and substance abuse, bullying, youth leadership and mentoring. Upon retiring from pro football in 1994, he joined Northeastern University’s Center for the Study of Sport in Society as national director of Athletes in Service to America, an AmeriCorps funded program. While there, Don turned his focus to the issue of “men’s violence against women.” He became Director of Sport in Society’s Mentors in Violence Prevention Program (MVP) emerging as a national leader and advocate for the prevention of sexual and domestic violence. Don joined forces with Liz Claiborne, Inc. in 1996 to create a series of public service announcements targeted to reach the predominately male “sports” audience. Don has conducted workshops and lectures for more than 200 college campuses, community, national sports and violence prevention organizations. Don has twice testified before the United States Congress and has worked with US Departments of Education and Defense and, the Pentagon on issues of sexual violence in education and the military, respectively. He has has been featured in O Magazine. In 2002 he founded the Sports Leadership Institute at Adelphi University, for which he served as executive director. 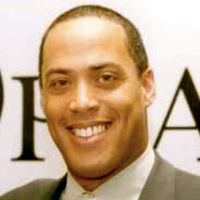 Don McPherson has worked as a college football analyst for ESPN, BET and NBC. He currently is on the advisory committee for the National Football Foundation and the board for the Ms. Foundation for Women. Don will be advising the team on fundraising and the business aspects of the project. was awarded the NASP 2013 School Psychologist of the Year and is practicing School Psychologist of 34 years in the Elwood School District in East Northport, Long Island. His professional interests include the development of peer helping models, the assessment and treatment of personality disorders, the application of mindfulness and psychology practices to treatment protocols, and the preservation of the field of School Psychology. As a School Psychology practitioner of thirty-four years, Dr. Pantaleno has been a lifetime advocate for social-emotional learning and the critical importance of how this facet of educational practice supports the academic and career goals of all children. Anthony was the founding member of Natural Helpers Program in Elwood in 1978, a peer helping model which trains nominated peer helpers in facilitative listening and crisis intervention skills. He went on to build the Natural Helpers of Long Island, a coalition of twelve Long Island high schools which modeled the philosophy and practice of peer helping, ran monthly advisor meetings for participating schools, and coordinated an annual NHLI conference. After seventeen years of Natural Helpers work, Dr. Pantaleno moved on to bring a second major peer helping initiative to his district. Operation Respect began as a major outreach by Peter Yarrow of Peter, Paul, and Mary Fame, and was designed to be transplanted locally around the theme of the program theme song “Don’t Laugh At Me”. Anthony began to recruit middle and high school disabled and non-disabled youth, and chartered monthly social outings. An annual event was also launched where secondary school youth were trained to deliver a lessons to second and fourth graders. In recent years, Anthony teamed with the Mentoring Partnership of Long Island (MPLI) and created teams of underclassmen paired with upperclass men mentors. Teams met weekly for one school year and developed that special bond of trust, support, and caring that characterizes all mentoring relationships. 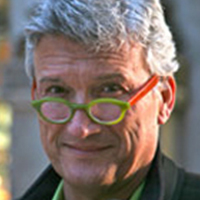 Anthony was the recipient of the 2011 NYASP Leadership in School Psychology Award, the 2008 SCPA Psychologist of the Year, and the the 2007 NYASP Practitioner of the Year award. He was most recently awarded the National Association of School Psychologists (NASP) “School Psychologist of the Year” award.Dr. Pantaleno maintains a private practice in Commack, Long Island. Toni will be advising us on various aspects of mindful education and assisting us with a “Mindful Day”. is an intellectual property lawyer and managing partner of his law firm. Brian graduated from Trinity College with a degree in chemistry. While working as a chemist at a pharmaceutical company, he attended the Maurice Deane School of Law at Hofstra University. Brian’s law practice focuses on obtaining patents, trademarks and copyrights for small companies and startups. Brian grew up in Islip and now lives in Sayville with his wife, Kelly, and two children, Gavin and Elisabeth. a Saratoga Springs, NY resident, is president of Rifenbary Training & Development, and author of the International Best-Seller, “No Excuse! – Incorporating Core Values, Accountability and Balance into Your Life and Career”, awarded “Book of the Year” by the North American Book Dealers Exchange and his new release, “True to Your Core – Common Sense Values for Living Life to its Fullest” Jay is a professional speaker, trainer and consultant; and for the last 20 years has provided his expertise in the areas of personal development, leadership, and communication training to organizations, associations and schools across North America, Europe and Asia. Jay received his Bachelor of Science degree from the United States Military Academy at West Point, with a concentration in Nuclear Physics. From being a former qualified Airborne/Ranger, Military Commander, Sales Professional, Corporate Manager and Entrepreneur, Jay brings a unique background of interpersonal skills and business experience to each of his training and speaking engagements. Within his community, Jay is a member of the Saratoga Springs City School District Board of Education, a member of the 20th Congressional District Service Academy Selection Committee, a member of the board of directors for Patriot Hills of NY, and a columnist for the Saratogian newspaper. He and his wife, Noni, have two children Nicole 29 and Jared 25. Jack Canfield, Best Selling Author of “Chicken Soup for the Soul”, said of “No Excuse!” that, Jay has given the world a most generous gift. Anyone who applies the “No Excuse!” philosophy can create the life they want and make a difference. Jay will be assisting us with networking, communications and publishing. is an ordained interfaith minister whose passion is to help raise the consciousness of humanity towards inner peace. He has been working to bring awareness to healing racial, cultural, and religious prejudices which have plagued mankind. He is a spiritual teacher, counselor and adviser and has helped many in recovery from alcohol and drug addictions. He is also a long-time student and teacher of a Course In Miracles and is certified as a facilitator in Attitudinal Healing. Cliff has studied in Ghana, West Africa and was initiated as a Oneness Blessing Giver in 2010 at the Oneness University in India. Recently Cliff has been lecturing on the higher states of human consciousness and is currently writing a book about the power of acceptance, humility, and forgiveness. Cliff is on the advisory team for the purposes of fundraising. is a social entrepreneur and the CEO and Co-Founder of Knowji, Inc. Knowji is an innovative education technology company that makes vocabulary apps that have been featured by Apple, and has helped countless students improve their vocabulary effortlessly. 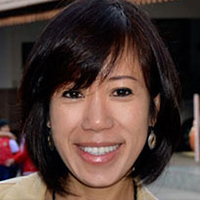 Emmie is the co-inventor of Knowji’s learning algorithm, which is based on scientifically proven learning methodologies. Emmie is passionate about education, and loves learning and design. She feels strongly that we must love what we do. For her, a big part of that means doing something that makes a difference in another person’s life. has been practicing Ashtanga Yoga since May 1976 and teaching publicly (and occasionally privately) worldwide since 1979. He teaches all levels of students and teachers and was in one of the earliest groups of westerners to learn all the classical sequences of Ashtanga Yoga. His first teachers were David Williams & Nancy Gilgoff. David was the first western Ashtanga adept. Danny began teaching with David Williams in 1979 and was asked to assist him at that time. Danny introduces the forms to beginning students, experienced/advanced practitioners and teachers. Many people he has taught are now themselves teaching and have their own schools. He’s also introduced the Ashtanga forms to many people who were Yoga teachers in other traditions and styles. He’s taught numerous well known artists, musicians, dancers, sports champions and studied with K. Patabbhi Jois in 1978 in Hawaii and 1980 in Hawaii in the USA. This included K.P. Jois’s first advanced series public classes in 1980 which were in Maui, Hawaii. Danny is also a musician, songwriter and performer. He has produced two CDs and a music/Yoga DVD He’s also studied and practiced with numerous teachers of other Yoga forms as well as various martial arts including Karate, Kung Fu and Tai Chi. Danny will be advising the mindful music committee. Senada Adžem is internationally renowned as a luxury real estate expert and media contributor. She regularly appears on CNBC, Bloomberg Television, MSNBC and Fox Business News. Print appearances include The New York Times, The Wall Street Journal, Forbes and Financial Times. 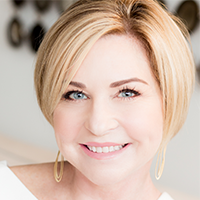 As the Executive Director of Luxury Sales at Douglas Elliman Real Estate, Ms. Adžem has sold over $525,000,000 and attained the Company’s highly coveted Pinnacle Award and Top Producer title. Senada is recognized as a trusted advisor to global leaders and ultra-high-net-worth (UHNW) clientele who consistently delivers profit gains within highly competitive U.S. real estate investment markets. Ms. Adžem’s utmost discretion and value-added approach to her discerning clientele secured her reputation as the pre-eminent power broker in the United States’ luxury real estate market. She appears on CNBC’s “Secret Lives of the Super Rich” and Bravo’s, “Million Dollar Listing: Miami”. has enjoyed 30 years of international experience as an executive producer, digital media educator, venture catalyst, fundraiser, grant writer, board member and/or advisor to numerous startups, institutions, multi-national and government entities. He’s done this as an award-winning executive producer of multiple commercial feature film, digital media, mobile products, content and concerts; as a global business and economic development executive, consultant, and public speaker; as a digital educator – with the delivery of bio-psycho-social health education via entertainment as an underlying theme; and as a philanthropist. Over the years he has consulted numerous ventures, with entertainment, digital media, digital education, telecom/cable, and renewable energy as the balance of his international portfolio. He has co-raised and deployed capital for over commercial 25 ventures.As a philanthropist David Traub has co-founded and raised capital for two non-profits. Current entrepreneurial projects in the content space include: Executive Producer/member of Producing team for multiple movies most recently the JOBS film, Co-Producer. As a repository for the above feature film and television projects Traub is co-developing Epiphany Film Fund, LLC. David also developing several digital publishing ventures for both teenagers and broad culture that address the current lack of ‘bio-psycho-social’ health knowledge in modern life. David is also an author of nearly 50 articles and reports on the evolution of the digital domain for trade publications, professional books and institutional clients; is currently writing the book: “17 Questions: The Ride of Your Life.”David has worked with David earned a Masters in Education in 1990 from Harvard University with a focus on optimizing economic and career development and “human capital” via entertainment interfaces/informal media, while conducting simultaneous class-work at the MIT Media Lab and Harvard’s Business School. In 1984 he earned his undergraduate degrees in rhetoric and film with honors from the University of California at Berkeley. Partial Client List: from the MIT Media Lab to the Apple Company to the the Band U2 and the Rolling Stones, EMI Records, WOMAD (Peter Gabriel). David is a brilliant educational advisor. The non-profit GIFT (The Global Investment Foundation for Tomorrow) is the vision of Sam Beard who has spent over a half century transforming ideas into impact, through tenacity and grassroots leadership. He has created and implemented programs for eight U.S. presidents from Nixon and Ford to Clinton, Reagan, Bush and Obama. His focus on social justice and elimination of poverty started with Robert Kennedy in Brooklyn in the mid 1960s. Among his most noteworthy accomplishments include the creation of over ten million jobs in low-income communities. With Jacqueline Kennedy Onassis and Senator Robert Taft, Jr., Beard launched the Jefferson Awards, an American Nobel Prize for public service and youth leadership. In 2015, Beard won a lifetime achievement award from PeaceJam, the organization headed by 13 Nobel Peace Prize laureates dedicated to developing young leaders. In Delaware, Beard has been responsible for more than $800 million of economic development including helping to finance the Hercules, Wilmington Trust and Chase. 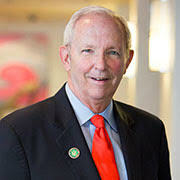 Under Beard’s leadership, the Jefferson Awards reports a $46.3 million community impact. 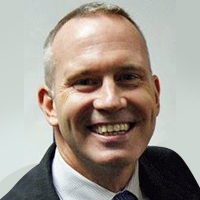 An experienced, dynamic and committed public health professional, Dr. Jeffrey L. Reynolds is the Executive Director of the Long Island Council on Alcoholism and Drug Dependence (LICADD). LICADD provides screening, brief intervention, referrals, relapse prevention and anger management. Under Dr. Reynolds’ leadership, LICADD has pioneered the launch of “Too Good for Drugs, an evidence-based K-12 substance abuse prevention program in several schools, initiated a new mentoring program for children of incarcerated parents and re-branded its Employee Assistance Program, now called “Open Arms EAP.”Dr. Reynolds worked for the Long Island Association for AIDS Care for 19 years, finished his tenure as Vice President for Public Affairs. In 1997, he co-founded BiasHELP of Long Island, an organization dedicated to assisting victims of hate crimes. He also secured federal, state and local grants and launched a wide array of crime victim services and school-based violence prevention. Dr. Reynolds currently serves as Chair of the Suffolk County Heroin/Opiate Epidemic Advisory Panel, is on the Executive Committee of the Nassau County Heroin Prevention Task Force and serves on Suffolk County’s Welfare-to-Work Commission, the Suffolk County’s Sober Home Oversight Board and remains the longest serving member of the NYS AIDS Advisory Council. He has served as a consultant and grant reviewer for SAMHSA and is a presenter at NHHS conferences. He has authored more than 200 news and op-ed articles. Dr. Reynolds was named one of the “50 most influential Long Islanders” in 2010-12 by the Long Island Press. Dr. Reynolds holds a Bachelors degree in psychology from Dowling College (1988), a Masters in Public Administration (MPA) with a specialization in health administration from Long Island University (1997) and a doctorate from Stony Brook University’s School of Social Welfare (2007). He remains an Assistant Clinical Professor at Stony Brook, a Certified Anger Management Professional, a Certified Employee Assistance Professional (CEAP) and a U.S. Department of Transportation-qualified SAP. Jeff is advising the business end of the project and the NFP aspects. Author of Gaia Codex, is a passionate explorer of culture and consciousness. She has traveled extensively around the world from the high peaks of Bhutan to the jungles of the Amazon. An experienced lecturer, who has taught at the graduate level and at organizations such as Google,​ ​Sarah is committed to the the evolution of consciousness and the protection and revitalization of ​the earth at this critical turning point in history. Her professional background is as a cultural curator and creator of innovative media. She lives with her partner in Manhattan and on a lush forested farm in the Hudson Valley. Sarah is honored to be part of the M​ission Be​ family and feels that the future well being of all beings, the health of our culture and society is dependent on how we nurture and educate our children. Cultivating mindfulness and compassion from an early age is a powerful tool for nourishing the long-term health our culture at large. It is one true step we can take for change. Is a seven time Emmy® award-winning composer, producer, performer and public speaker dedicated to making a difference in the world by creating music-driven media and experiences that inspire the heart and catalyze individual and societal healing. As a keynote presenter, he is passionate about the vital role music, media, and the arts can play during these extraordinary times of change as an innovative tool to enhance our humanity, deepen our sense of meaning in our lives, and cultivate greater emotional/social intelligence in an increasingly complex and distracted world. 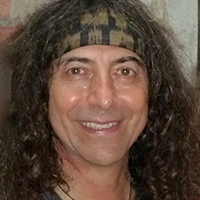 As a composer for numerous award-winning television and film projects for nearly thirty years – as well as an Immersive Strategist/Artistic Director for conferences worldwide, Gary is known for participating in globally acclaimed projects that support environmental sustainability, spiritual tolerance, children’s health and welfare, cancer research, and cross-cultural healing. He just received Hollywood Music in Media Award’s Best Soundtrack Award (with music partner, Dan Alvarez) in the Indie Feature Documentary category, for his work on the groundbreaking film, Thrive: What on Earth Will It Take? He is the co-creator (with Michael Stillwater) of Graceful Passages: A Companion For Living and Dying, released by his media company, Wisdom of the World, which offers aesthetic ways to help face life transitions with greater mindfulness. WisdomFilmsTM – Media for Human Being, short-format films for stress reduction and heart/mind integration In 2008, the CEO commissioned Gary and curator of TED, Chris Anderson, to create the theme music for the global broadcast phenomenon, Pangea Day. 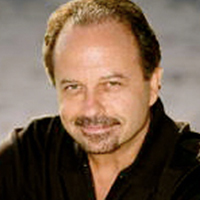 He also has served as Artistic Director for the Quest for Global Healing Conferences in Bali, Indonesia, (which featured Archbishop Desmond Tutu, among other Nobel Laureates) and was asked to present on the healing power of music on the stage of the Great Hall of China during the Beijing Olympics. An in-demand public speaker at places such as Google, Harvard’s Conference on Spirituality and Health, Scripps Clinic, Kaiser Permanente, and The Institute for Functional Medicine. He was featured on the national PBS Series, Healing Quest, the Huffington Post, promoting a greater understanding of the power of music and the arts as an essential resource for inspiration, emotional intelligence, enhanced creativity and life/balance integration. Gary will be helping create and advise our mindful music committee, our Mindful CD, digital application and videos. 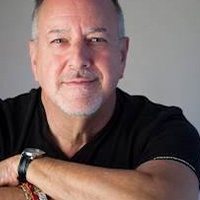 Bruce has had a diverse professional career spanning Broadway (actor/singer/dancer), publishing, health and wellness, performance, leadership development, executive management, mentoring and photography. As one of the founding directors of the HeartMath organizations he helped guide the development of programs designed to reduce stress and improve resilience and performance for both children and adults. He has worked with teachers, parents, students, CEOs, managers, health care professionals, and everyday people to provide tools to enhance their life on all levels. He has written for Harvard Business Review and many business and health care publications. A two-year journey of major health issues culminated in his decision to step down as CEO of HeartMath in 2011 so he could pursue new creative projects including mentoring, keynote performing, and song-writing. He now consults and mentors visionary entrepreneurs and leaders in all fields. He believes all human beings are innately creative, though the creative energy of each individual is often discouraged by parents, siblings, employers, and society as a whole. His mission is to awaken the creative energy within all people, preferably starting with children (in whom it’s already awake). His work around Creativity is being taught at Stanford University, 1440 Multiversity (near Silicon Valley) and the New York Open Center. His most recent project is an album of original songs created with the Brothers Koren, released May 2018, called Renaissance Human. He graduated from Oberlin College and Conservatory of Music. PhD is Canadian-American multi disciplinary scientist, designer, and author. Dr. Bruce Damer collaborates with colleagues developing and testing a new model for the origin of life on Earth and in the design of spacecraft architectures to provide a viable path for expansion of human civilization beyond the Earth. He began his career in the 1980s developing some of the earliest user interfaces for personal computers, led a community in the 1990s bringing the first multi-user virtual worlds to the Internet, and since 2000 supported NASA and the space industry on numerous simulations and spacecraft designs. He has spent 25 years chronicling the history of computing in his DigiBarn Computer Museum. 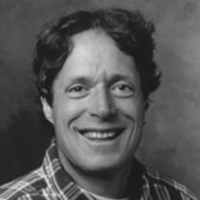 He currently serves as Principal Scientist at DigitalSpace; Associate Researcher in the Department of Biomolecular Engineering at UC Santa Cruz; Associate of the NASA Astrobiology Center; Member of the International Society for the Study of the Origin of Life, and Founding Director of the Contact Consortium. He also served as Visiting Scholar at the University of Washington and as a member of the Faculty at Charles University, Prague. He received his PhD from University College, Dublin; MSEE from the University of Southern California and BSc from the University of Victoria. a licensed clinical psychologist, maintains a private practice of psychotherapy and mindfulness training in Stony Brook. 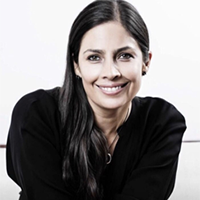 She completed a postdoctoral fellowship at Yale University School of Medicine and has served as Coordinator of Mindfulness Programs at the Counseling and Psychological Services, Stony Brook University; Assistant Director of Counseling for Training at SBU; and Associate Professor of Psychology at SUNY/Empire State College. Over the past 30 years, Cheryl’s commitment to bringing mindfulness training to the university community led her to develop a wide range of educational and clinical programs for students, staff and faculty at SBU and St. Joseph’s College. Her interest in the integration of psychotherapy and mindfulness guides her own clinical work as well as her educational offerings for health care professionals. 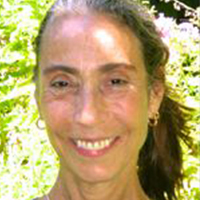 In 2010 she completed the Teacher Development Intensive Training in MBSR through the Center for Mindfulness at the University of Massachusetts Medical School and recently the Integrated Study and Practice Program at Barre Center for Buddhist Studies. 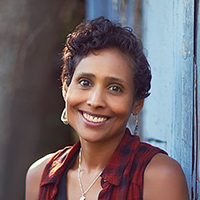 Cheryl’s study of contemplative practices includes yoga, Tibetan Buddhist (Shambhala) and Vipassana meditation, and East/West psychology with John Welwood, Ph.D. In 1987, she journeyed, under the guidance of Swami Rama of the Himalayan Institute to Gangotri and Gomuk, India, the source of the Ganges River. received his undergraduate degree in psychology and sociology in 1975 from the State University of New York at New Paltz and his master’s degree in social work in 1981 from Adelphi University in Garden City, New York. He is currently a licensed clinical social worker in the state of New York and a Board Certified Diplomate in clinical social work by the American Board of Examiners in Clinical Social Work. Scheinberg served as an executive board member of the Suffolk County chapter of the Society of Clinical Social Work from 1984 to 1995. Because of his work with graduate students in the 1990s, Scheinberg was recognized as an Adjunct Assistant Professor at the New York University School of Social Work in January 2000. As Mr. Scheinberg has evolved spiritually, he has chosen to devote more time and energy to professional development that is directly associated overall mind-body health. These experiences include ancient and modern forms of meditation. Richard will be advising us on the therapeutic aspects of the program, as well as, advising us on the business end of the project. is a robotics engineer turned consciousness hacker. He envisions a present and future where technology supports psychological, emotional and spiritual well-being. Where our devices not only connect us to information, but also connect us to ourselves and each other, acting as a catalyst for individual and collective awakening. He is currently founder of BioFluent Technologies, Consciousness Hacking, and the Transformative Technology Conference. He received an MS from the MIT Media Lab. After founding, operating, and selling a small enterprise to a publicly traded company, David began a career that would take his humanitarian vision and executive leadership to ever-increasing levels of influence. He led mental health counseling and training programs for therapists and teachers, directed national programs to help micro-entrepreneurs, and served as executive of an international institute focused on advancing and promoting empathy and compassion throughout society. David is a strategic executive who has built a reputation and achieved exemplary results based on his natural ability to bring exceptional people together around topics of ethical decision-making, empethic leadership, and promoting the values and science of compassion and altruism. Having earned an advanced degree in psychology and devoting years of leadership in service to others, David is currently Director of the School for Professional Development and Extended Studies at Naropa University. has been extensively involved in children’s rights since high school. In law school, she initiated a children’s legal rights class as well as a student organization providing legal referrals to San Francisco high school students. While raising her three children, she was a Board member of CASA, Silicon Valley, and raised funds for underinsured services and young patients at the Lucile Packard Children’s Hospital at Stanford. This experience led to the Presidency and Board Chair of the Association of Auxiliaries for Children at LPCH, an organization of eight nonprofits and approximately 1200 members. Currently, Toni is on the Board of HIP Housing, a non-profit specializing in creative affordable housing solutions throughout San Mateo County. Toni is also a member of Band of Angels and of Golden Seeds, making direct angel investments and helping with coaching the management teams in these companies. She is writing her thesis on women’s literacy in colonial America for a Master of Liberal Arts degree at Stanford University. Toni holds BA in Geology from Carleton College and earned a Juris Doctor degree at University of California, Hastings College of the Law. Having been raised in the Philippines, and being of German descent, Toni enjoys international travel and business opportunities. 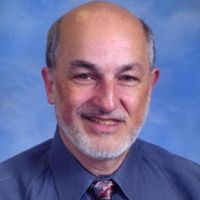 Paul Tapogna taught in Islip Public Schools for 34 years, mostly at the middle school level. While there he served on the founding committees of Islip Middle School, and he presented at two National Middle School Association conventions in St. Louis and Toronto on Middle School teaming.Paul also taught at Dowling College in the Education Department for twelve years as an Adjunct Professor. Paul is a graduate of Fordham College and Stony Brook University. He met the love of his life, Kathleen, in a schoolyard in Brooklyn when she was a seventh grader and he an eighth. They have been married for 43 years, have three children, six grandchildren, and are still living in their “starter home” in East Islip. These days Paul is busy at St. Patrick’s Parish in Bay Shore teaching and working in other ministries. 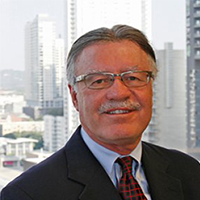 Barry Margerum has over 30 years of executive and board of director level business experience in California high technology companies. As the Chief Strategy Officer of Plantronics and a long-term mindfulness practitioner, he introduced Search Inside Yourself (SIY), a mindfulness-based emotional intelligence for leaders program, to Plantronics in June 2012. Mr. Margerum became a certified SIY teacher in 2015 and currently teaches mindfulness classes to executives and workers around the world. Mr. Margerum holds a Bachelor of Science in Engineering from Princeton University and a Master of Business Administration from Stanford University. Richard has over twenty-five years of experience working with affluent individuals, families and their closely held entities and serves as Strategic Planning Partner of Durbin Bennett. 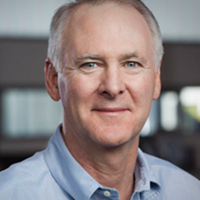 Prior to co-founding Durbin Bennett in 1987, Rick was a manager in the tax section of the Austin office of Price Waterhouse Coopers, serving as Director of Financial Planning Services. 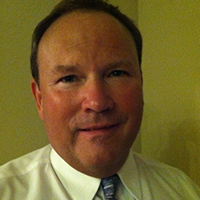 Richard is a Certified Public Accountant with a Personal Financial Specialist credential. He is a member of the American Institute of Certified Public Accountants, the Texas Society of Public Accountants, the Estate Planning Council of Central Texas and the International Board of Certified Financial Planners. Richard serves in a variety of community and professional activities and is currently serving on the boards of the Austin Ballet and the Austin Ballet Foundation. Richard graduated with a BBA in Accounting from The University of Texas at Austin. 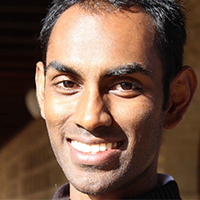 Praveen has studied mindfulness with Thich Nhat Hanh and the Plum Village community and is a Certified Mindfulness Facilitator through University of California Los Angeles’s Mindful Awareness Research Center. 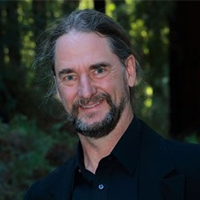 He co-founded a residential mindfulness practice center in Austin, TX and has led mindfulness-based leadership programs at Dun & Bradstreet, National Wildlife Federation, Stanford University and a number of national and regional conferences. Praveen is currently Managing Director for YSP Ventures supporting startups with strategy and fundraising. Praveen holds an MA in Policy, Organization and Leadership Studies from Stanford University, and a BA in Economics from Pomona College. To explore the possibility of a speaking engagement or public appearance with one of our advisory members please contact us at carin@missionbe.org or call 631 513 6151.